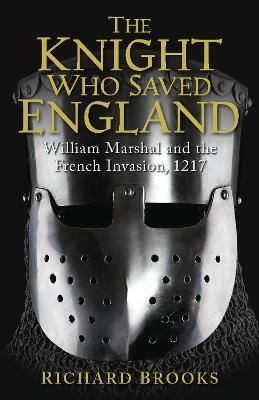 In 1217 England was facing her darkest hour, with foreign troops pillaging the country and defeat close at hand. But, at the battle of Lincoln, the seventy-year-old William Marshal led his men to a victory that would secure the future of his nation. Earl of Pembroke, right-hand man to three kings and regent for a fourth, Marshal was one of the most celebrated men in Europe, yet is virtually unknown today, his impact and influence largely forgotten. In this vivid account, Richard Brooks blends colourful contemporary source material with new insights to uncover the tale of this unheralded icon. He traces the rise of Marshal from penniless younger son to renowned knight, national hero and defender of the Magna Carta. What emerges is a fascinating story of a man negotiating the brutal realities of medieval warfare and the conflicting demands of chivalric ideals, and who against the odds defeated the joint French and rebel forces in arguably the most important battle in medieval English history - overshadowing even Agincourt. Richard Brooks is a freelance military historian with a particular interest in the intersection of naval and military history, and the use of hitherto untapped sources to develop fresh insights into past campaigns. Richard has published seven books, beginning with a biography of Fred T. Jane, the founder of Jane's Fighting Ships. His other books have covered naval brigades, the Royal Marines and battlefields of Britain and Ireland; previous books for Osprey include Solferino 1859 (2009) and Walcheren 1944 (2011). He was also Consultant Editor for The Times History of War (HarperCollins, 2000). He has a BA in Modern History from Oxford University and an MSc in International Relations from Southampton. He lives in Southsea, England.